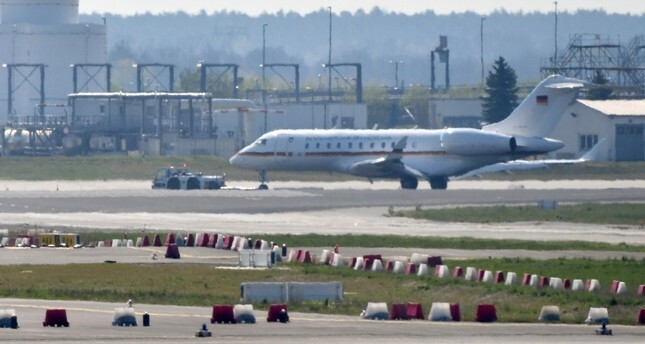 A rough landing by a German government plane at one of Berlin's airports brought flights to a standstill for more than two hours on Tuesday, adding to a long list of embarrassing mishaps for the military-operated fleet. The runway was briefly closed while the plane was towed away, leading to the disruption of dozens of flights. Flight operations resumed around noon, though the airport warned that there could still be delays. In November, Chancellor Angela Merkel arrived late at the Group of 20 summit in Argentina after a problem with her Airbus A340 forced the plane to turn back due to electrical problems and was forced to land in Cologne. Merkel then took a commercial flight. In response to the defects, the German government announced last week they are paying 1.2 billion euros ($1.3 billion) to buy three new Airbus A350s planes, the first of which will be delivered in 2020. It has four Global 5000s, fitted out for delegations of up to 13 people.